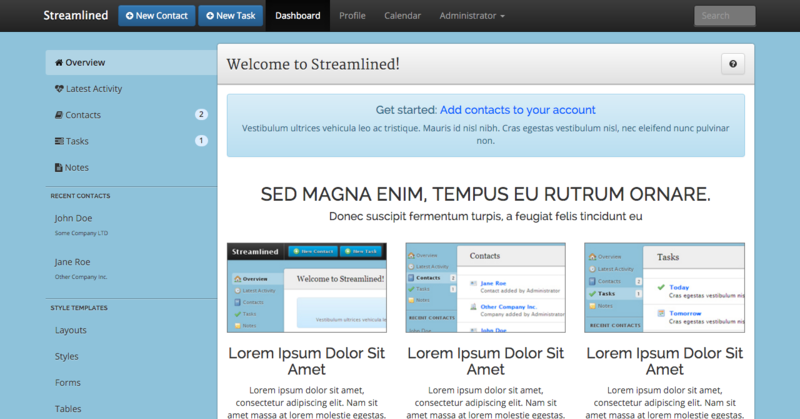 An admin template that makes use of the latest CSS3 techniques to provide users with beautiful, stunningly rich experience. 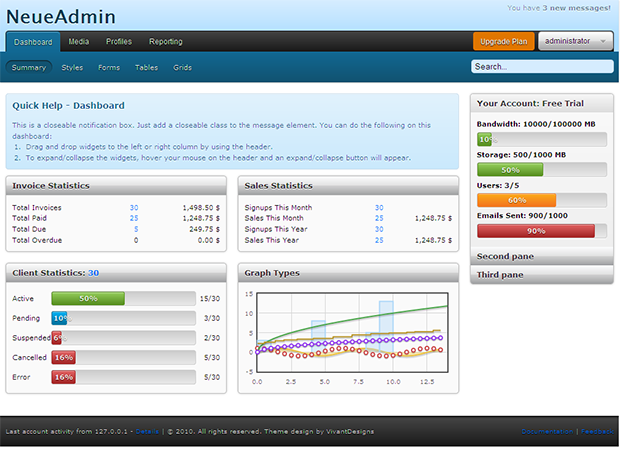 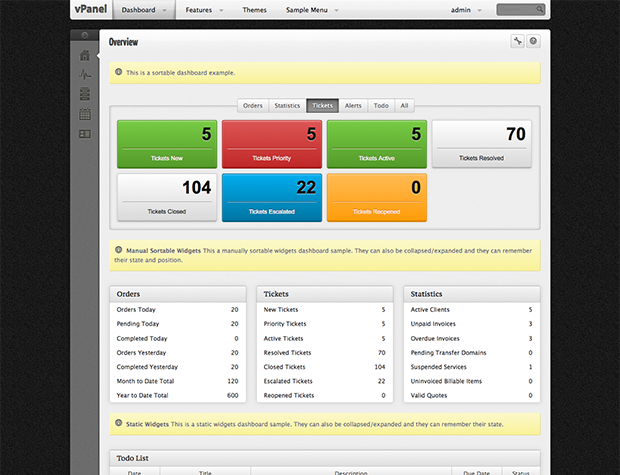 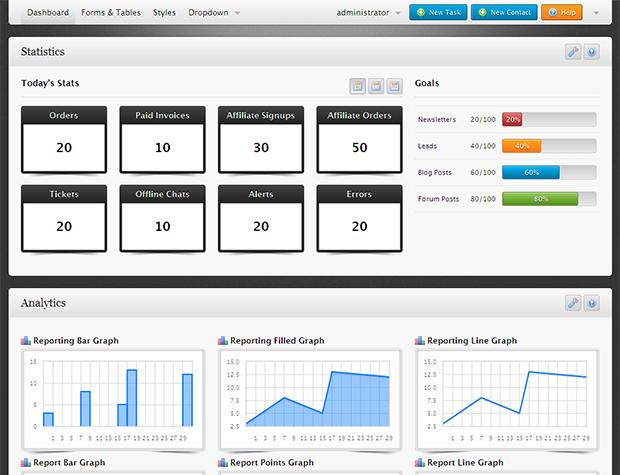 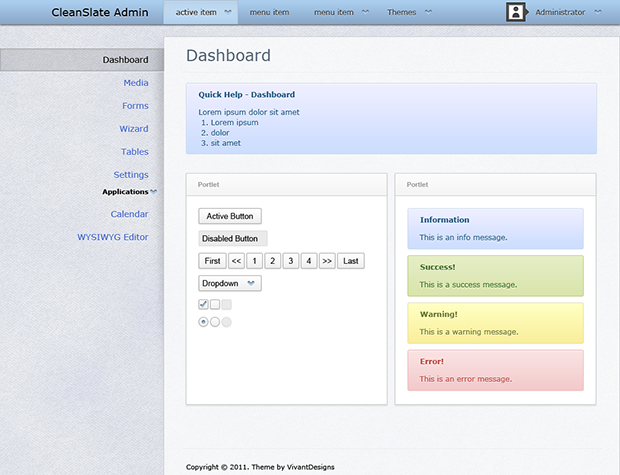 NeueAdmin is an admin template for CMS and CRM applications. 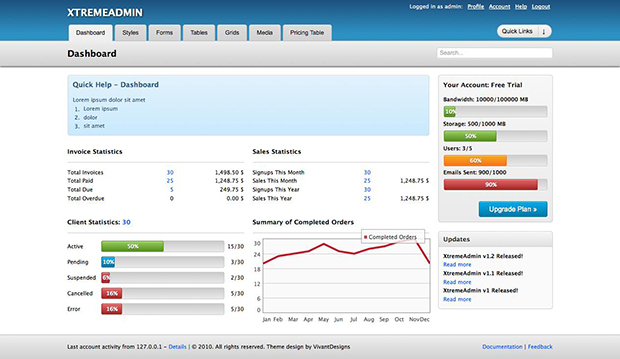 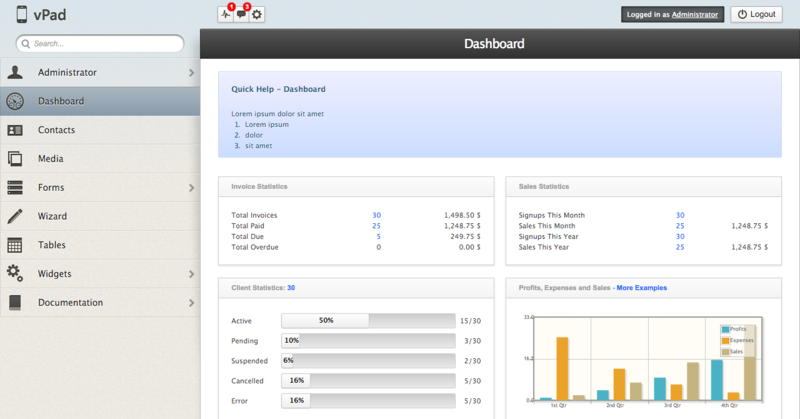 It includes all the necessary styling such as buttons, tabs, tooltips, graphs, media, pricing tables and progress bar.